Most people start drinking coffee in their late teen years and never look back. That wasn’t the case for me. I actually only started drinking coffee last year (gasp!). Pretty crazy, huh? I’m not gonna lie I still find ordering coffee out to be quite intimidating – so many options, so many sizes, so many kinds. Luckily, I learned from the Breakfast Project that I can easily enjoy a latte from the comfort of my home with just a few simple steps. For a single serving, you heat 1/2 cup milk in a saucepan over medium-low heat, whisking quickly with a wire whisk to create the foam. Meanwhile, brew strong coffee (you’ll need about 1/3 cup). Pour the strong coffee in a cup and then pour the milk into it, holding back the foam with a spoon. Spoon foam onto the top. Voila! Random Recycling – Emily shares tips for modern green living for busy families. She writes great posts about healthy meal plans, gardening, hot environmental topics, and life with her family. Her blog makes me aspire to be a better (greener) person – very much a work in progress! We Band of Mothers – Marianne is a mom of three boys who shares her life, her successes, her love of Nutella, and her inability to use her smartphone. She is honest, she is funny, and an all-around good egg. She also regularly writes for Chicago Parent. Masshole Mommy – As if the name isn’t enough to love, the Masshole Mommy herself blogs the honest truth about being a mom, working, making healthy lifestyle changes, and reviews/giveaways. Also, if you ever can’t think of somewhere to go with your kids in Massachusetts then just check out her blog. I swear she and her kids have been to every fun attraction in the state! Stowed Stuff – To all regular visitors of my page, you know that I often talk about Annie at Stowed Stuff. I credit her as the wind beneath my blogging wings. She was the first blogger I met in real life and she encouraged me to start blogging on my own. She writes a lifestyle blog about her family, her knowledge as a reading specialist, and does reviews/giveaways. What’s not to love? Bad Parenting Moments – Sometimes we hit it out of the park with being amazing parents and sometimes we struggle to be mediocre parents. Bethany calls it like it is and tells the stories from the trenches. She’ll make you laugh, she’ll make you think, and she’ll make you feel better about your day! 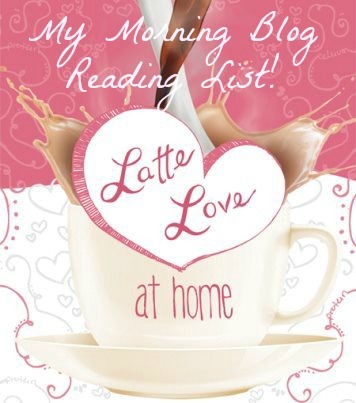 So tomorrow morning, why not make yourself a latte and read up on some of these blogs? You won’t be disappointed!